Verkligheten i Platform – Platform r.f. A joint exhibition by the members of Platform and the artist-run gallery Verkligheten (The Reality) in Umeå (S) on the theme Place and Identity. The project was an initiative by the two artist-run galleries to create a collaboration were artists in the both regions express, widen, concentrate and deal with the concept of identity from a local and regional starting point. The main issue was to create a dialogue and relation between the artists across the sea of Kvarken, as well as bring to the fore the theme identity in a local perspective in time for the international contemporary exhibition ID that will take place in several institutions in Vasa during the summer of 2003. Grasspopper: Sven-Erik Klinkman (Vaasa) and Thomas May, (Germany) were invited to talk about ”locality-identity”. Markko Hauttala did a talk about his novel ”Kirottu maa”, Oda Projesi did an artist talk, as well as Ulrika Ferm. 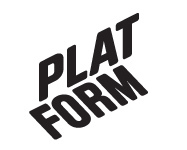 The second part of the project will take place in Umeå, where the members of Platform will do an exhibition called Learning by doing in November. The project was supported by the Kvarken Council, the regional council for Finland and Sweden in the area of the sea of Kvarken, to increase the exchange between the artists in the region.